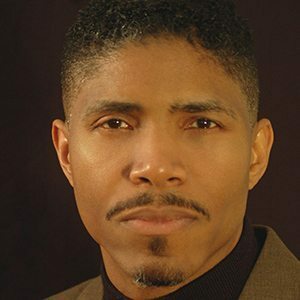 Oliver N. Greene, Jr. is an assistant professor of music at Georgia State University where he teaches courses in traditional and popular world music and carnival in Trinidad & Tobago and Brazil. He holds a Ph.D. in musicology (emphasis, ethnomusicology) from Florida State University and masters and bachelors degrees from Southern Methodist University and the College Conservatory of Music, University of Cincinnati, respectively. He has published articles in the Black Music Research Journal , Continuum Encyclopedia of Popular Music of Music , the Garland Encyclopedia of World Music and in the book The Garifuna: A Nation Across Borders . Research presented at the Seminaire dÕEthnomusicologie at the International Gwoka Music Festival in Guadaloupe, French West Indies, is published online. Oliver Greene has also presented research at meetings of the Caribbean Studies Association, Society for Ethnomusicology, the International Association for the Study of Popular Music, the Center for Black Music Research (CBMR), and the International Council of Traditional Music. In 2005 he directed a study abroad trip on the music and arts of carnival to Rio de Janeiro and Salvador, Brazil. 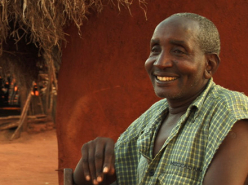 As a recipient of a Rockefeller fellowship at the CBMR in Chicago in 2000, he conducted fieldwork and research on the relationships between art, dance, and music in the expression of identity in the wanaragua (Jankuno) ritual of the Garifuna of Belize. He has also conducted research on popular music and ancestor veneration rituals of the Garifuna in Belize and Honduras. 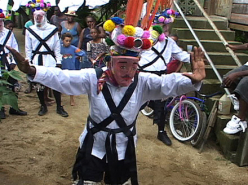 Play, Jankunú Play – The Garifuna Wanaragua Ritual in Belize has been screened in the Bronx, NY at the 2007 Garifuna Community Forum, in Dangriga, Belize at the 2006 Conference of the National Garifuna Council, in Honolulu at the 2006 Annual Meeting for the Society for Ethnomusicology, and in Atlanta in several venues.